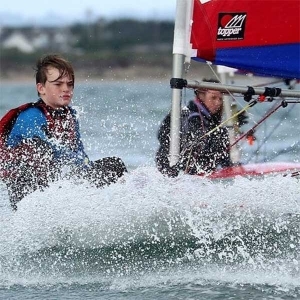 Participants: MEMBERS ONLY junior sailing course for beginner and intermediate sailors. Family Discount: Family discounts apply to family members of the same family only. Members, Guests and course participants grant the club / organisers the absolute right to use the images resulting from photography at the activity mentioned above. This includes any reproductions or adaptations of the images for general publicity purposes. ISA/RYA Instructors, ISA/RYA senior instructors or ISA/RYA coaches do not accept responsibility for any loss, damage or injury suffered by persons and/or their property arising out of or during the course of their activities whilst training and/or coaching and/or instructing unless such injury loss or damage was caused by, or resulted from negligence or deliberate act.